FMG is a renowned design firm specializing in Wayfinding, Environmental Graphics and Placemaking. The studio has the passion to create, organize, problem solve and stimulate complex human environments and to create WOW experiences. The FMG team recently completed the Assessment Phase of the Placemaking, Environmental Graphics and Wayfinding for Centennial Medical Center in Nashville, Tennessee. This large flagship campus for HCA has four (4) hospitals and a dozen Medical Office Buildings. The FMG studio is located in the historic Eller Wagon Works Building at the corner of Crawford and Commerce Streets. The building sits in the $62 million Cotswold Project renovation and is one block from the Houston Astro's baseball stadium Minute Maid Park and within walking distance of Irma's famous Mexican Restaurant. Forty and Sixty foot steel tower poles were erected to hold the transluscent fabric graphics panels announcing the Aliana project in Fort Bent County, Texas. 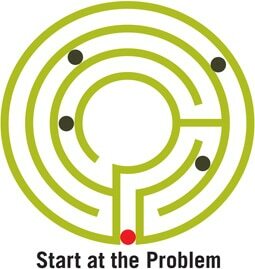 Most complex problems need to be broken into components of understanding before a path of proposed solutions can be developed. Our studio must assess and understand before any design process can begin. The Georgia Aquarium, located in Atlanta, is the world's largest aquarium with more than 8.5 million gallons of marine and fresh water housing more than 120,000 animals of 500 different species. Funded mostly by a $250 million donation from Home Depot co-founder Bernie Marcus, the aquarium was built on a 20 acre site north of Centennial Olympic Park in downtown Atlanta. Our studio has hundreds of lineal feet of magnetic boards to assist us in breaking down the problem and reassembling the components. The ebb and flow of ideas is constant and a reminding process of evolution. FMG, working with Jones Sign has recently completed the first phase of a $10 million dollar interior graphics program at the Walter E. Washington Convention Center in Washington, DC. Whether it is a complex Medical Center, Corporate Campus, Town Center or Residential Community, FMG will assemble a team of dedicated professionals who excel in team work and problem solving. The Wells Fargo Cultural Campus occupies 4 acres serving as a new gateway to downtown Charlotte. Centerpieces of the project include the 1.5 million sf, 48-story LEED certified, Duke Energy Center, the Bechtler Museum, the Mint Museum, a below grade 350-seat auditorium, the Afro-American Cultural Center and a new performing arts theatre. The development also includes approximately 2,200 below grade parking spaces. FMG was responsible for developing masterplan environmental graphics for the campus, towers and garage. Many of our projects are now incorporating the latest in electronic interactive and non-interactive wayfinding. FMG working with TVS Design recently completed a comprehensive environmental graphics program for the International Waterfront Centre project in Port of Spain, Trinidad. The PARKVIEW Primary Campus Entrance Feature (PCEF), which is our ‘placemaker’ for the entire $531 million Parkview health campus development, was designed primarily of layers of very thick, patterned, green glass with subtle wave patterns running from end to end. The letters reading PARKVIEW, which identify the gateway into the campus from the south end are a diffused white glass. Northside at University of Texas Opening Fall 2016! Get news, tips, and regular updates about experiential graphics, wayfinding, placemaking, donor recognition, brand identity, and project case studies delivered to your inbox. 30 January 2017: FMG will assess and develop placemaking and environmental graphics for The Centrum in Dallas, Texas. 24 January 2017: FMG will be working on the new mixed-use development Heights Central Station in The Heights, South Historic District. The project will consist of two, retail-office buildings, and one single-story coffee shop with drive-thru. 06 January 2017: FMG was awarded a contract to assess the 700-bed+ Texas Health - Harris Methodist Hospital Fort Worth. 19 December 2016: FMG is pleased to announce that Ashley Ayres has rejoined FMG as a designer. 14 December 2016: FMG will be working on Gateway in Waterford at Blue Lagoon, an upscale mixed-use development in Miami, Florida with new shopping, residential, hotel and business centers. 16 November 2016: FMG is working on Cornerstone, a 641-acre development in Lake County, Illinois (the location) for The Alter Group. 06 October 2016: FMG is now working with Texas State Aquarium in Corpus Christi with new graphics standards. 24 August 2016: FMG will be developing environmental graphics for Parkview Health in Indiana for several new projects including Parkview LaGrange Hospital, Parkview Wabash Hospital and the new Parkview Cancer Center on the main medical center campus in Fort Wayne. Proven leaders in placemaking, environmental graphics, integrated wayfinding, FMG makes your projects stand out in a crowd! Our studio has the passion to create, organize, problem solve and stimulate complex human environments. Simply put, “we create WOW experiences”. FMG believes that Environmental Graphics should engage the viewer while communicating information and creating a connection between the person and their surroundings in the navigation of the built environment. © 2019 FMG Design, Inc.